Soft, strong spunlace material increases patient care and satisfaction by eliminating harsh soaps, rough washcloths and towel drying. These hypoallergenic and pH balanced premoistened cloths are available in scented and fragrance-free. Available in low-profile tub or resealable soft-pack. 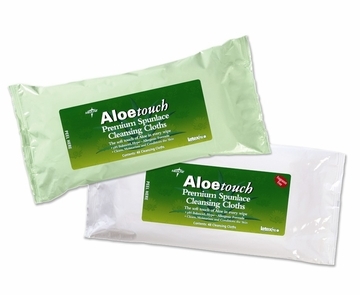 More economical than using soaps, perineal washes and washcloths. Also save valuable nursing time. *Resealable soft-pack can be used as refill for tub.